Biology Parasitoids or hyperparasitoids of aphids, psyllids, mealybugs, scale insects and flies. Ashmead, W.H. 1880. Orange Insects: A Treatise on the Injurious and Beneficial Insects found on the Orange Trees of Florida. Ashmead Bros, Jacksonville, FL, 78 pp. Ashmead, W. H. 1900. 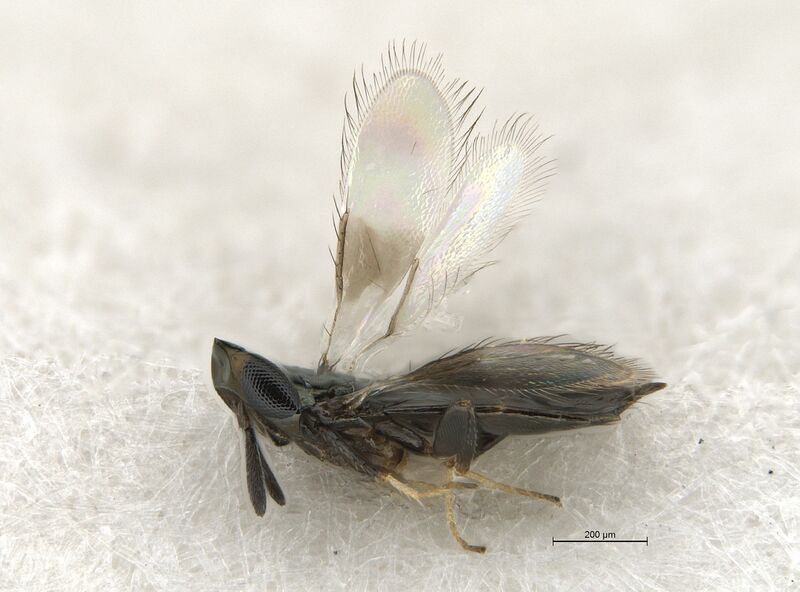 On the genera of the chalcid-flies belonging to the subfamily Encyrtinae. Proceedings of the United States National Museum 22: 323–412. Dozier, H.L. 1933. Miscellaneous notes and descriptions of chalcidoid parasites (Hymenoptera). Proceedings of the Entomological Society of Washington 35: 85–100. Girault, A.A. 1913. A Systematic Monograph of the Chalcidoid Hymenoptera of the subfamily Signiphorinae. Proceedings of the U.S. National Museum 45: 189–233. Girault, A.A. 1915. Australian Hymenoptera Chalcidoidea—VII. The family Encyrtidae with descriptions of new genera and species. Memoirs of the Queensland Museum, 4, 1–84. Girault, A.A. 1916. New Encyrtidae from North America. Psyche 23: 41–50. Girault, A.A. 1935. Microhymenoptera Australiensis Nova. Mostly Chalcididae. Privately printed, Wright & Baker, Sydney, pp. 2–4. Malenotti, E. 1916. "Signiphora merceti" Malen. n. sp. Redia 12: 181–182. Woolley, J.B. 1983. Higher classification of the Signiphoridae (Hymenoptera: Chalcidoidea) and a revision of Signiphora Ashmead of the New World. Ph.D. dissertation, University of California, Riverside, 488 pp. Woolley, J.B. 1990. Signiphoridae. In: Rosen, D. (Ed. ), The Armored Scale Insects: Their Biology, Natural Enemies and Control. Elsevier Science, Amsterdam, pp. 167–176. Woolley, J.B. 1997. Signiphoridae. In: Gibson, G.A.P., Huber, J.T. & Woolley, J.B. (Eds. ), Annotated Keys to the Genera of Nearctic Chalcidoidea (Hymenoptera). NRC Research Press, Ottawa, pp. 693–699. Woolley, J.B. & Hanson, P. 2006. Familia Signiphoridae. In: Hanson, P. & Gauld, I.D. (Eds. ), Hymenoptera de la Region Neotropical. Memories of the American Entomological Institute. Vol. 77. AEI, Gainesville, pp. 422–425.